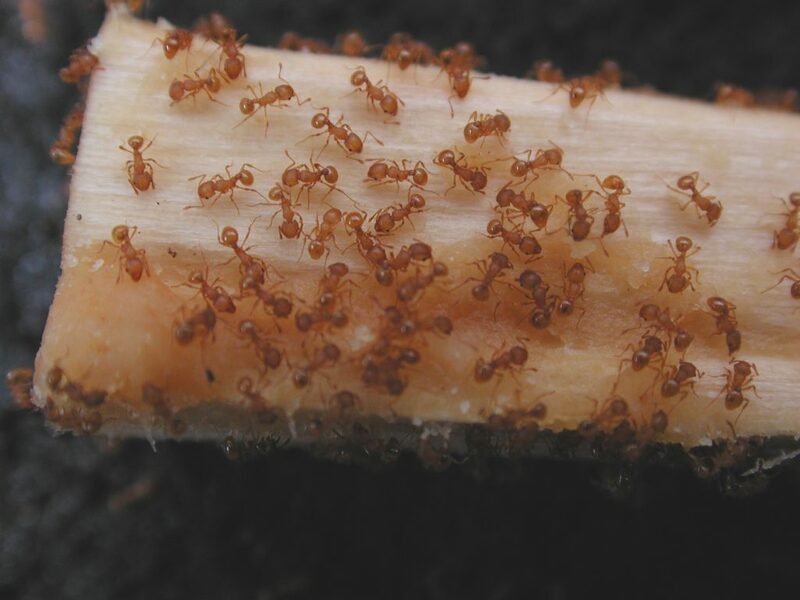 Little Fire Ants have been confirmed in a second Windward Oʻahu neighborhood. A resident in Ahuimanu reported stinging ants, and surveys of the area and a nearby home of a relative detected two infestation sites around Ahuimanu Road. The main site involves 13 properties and the other site involves five properties, totaling about three acres. The area was treated yesterday by the Hawaiʻi Department of Agriculture and the Hawaiʻi Ant Lab. Crews also conducted the second treatment of the Kaneʻohe neighborhood where Little Fire Ants were detected in December. 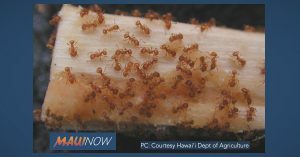 Last week, Little Fire Ants were also confirmed on a plant that was purchased at the Punahou Carnival in early February. LFA has been found on Hawaiʻi Island since 1999 and the population is widespread on that island. Since that initial detection, HAL and HDOA have developed a treatment strategy that has helped to prevent the spread of LFA to other islands. Originally from Central and South America, LFA is considered among the world’s worst invasive species, producing painful stings and large red welts and may cause blindness in pets. In addition, the Department of Land and Natural Resources has produced a three-minute video, “How to Test forLFA,” (posted below) which shows the step-by-step procedure for testing for LFA. Suspected invasive species should be reported to the state’s toll-free PEST HOTLINE at 643-PEST (7378).